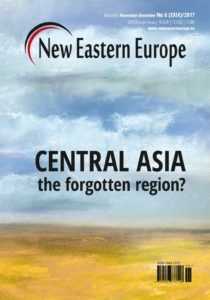 Interview with Victor Dolidze, the former State Minister of Georgia on European and Euro-Atlantic integration. Interviewer: Małgosia Krakowska. 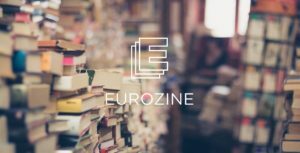 MAŁGOSIA KRAKOWSKA: At the beginning of October, your government launched an information campaign to raise awareness among your citizens about the visa-free regime with the EU. The campaign is aimed mostly towards ethnic minorities. Why? 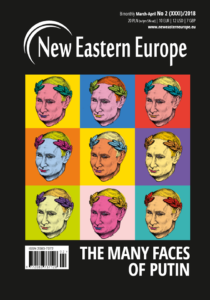 VICTOR DOLIDZE: As the EU-Georgia cooperation continues, Russia’s hybrid warfare strategy of sowing distrust in the European Union by spreading fake news has significantly intensified. Ethnic minorities are especially susceptible to Russian disinformation because they rely largely on Russian-language media. And so, we need to inform and engage all of our citizens in order to deter Russia’s soft power ambitions. Within the framework of this campaign, our government adopted and implemented the “Information and Communication Action Plan on EU-Georgia Visa Liberalization”. We try to reach our citizens through various channels of communications, such as banners and posters in metro stations and minibuses, and the involvement of central and regional TV and radio channels to disseminate the right information and counter fake news. All the information has been translated into the languages of ethnic minorities. 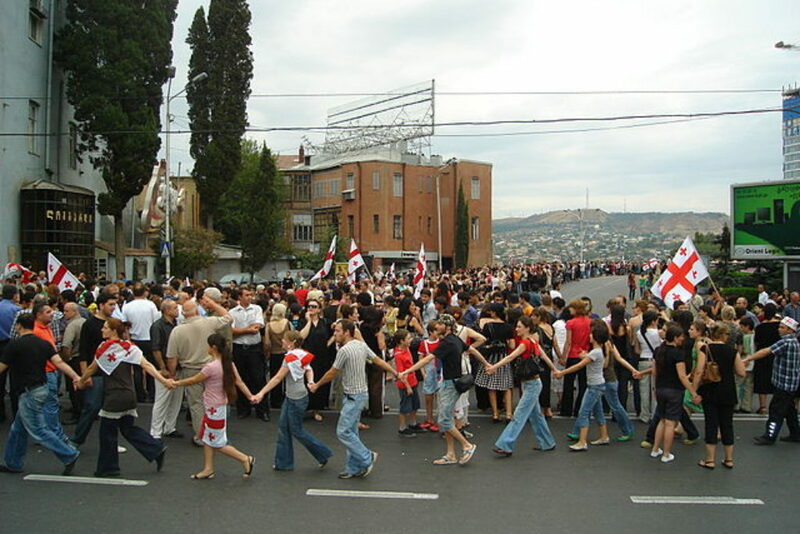 In July 2017 xenophobic demonstrations took place in Tbilisi. According to a Radio Free Europe/Radio Liberty report, the demonstrations could have been instigated from the outside. Could these protests be an example of Russian provocation? Yes. 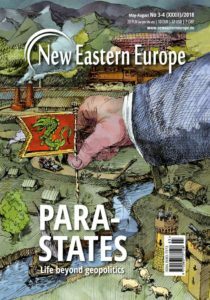 The Kremlin applies very complex methods to exert influence on Georgia’s political environment. Trade embargoes are not the only way to strengthen Russian dominance in the region. The disinformation network also extends to media sources, political parties, religious groups, and NGOs. The July protests were organised by far-right and nationalist movements. Their activities, which are often set to exploit our vulnerabilities and lead public opinion away from reality, have been instigated by Russian security services. Georgia has recently amended its constitution so that it meets European standards. What amendments have been introduced? Thank you for this question. Article 78 of the Constitution introduces new obligations for the constitutional organs to ensure full integration of Georgia into the EU and NATO. Beyond that, the constitutional reform has clearly delineated the responsibilities assigned to the various branches of government. 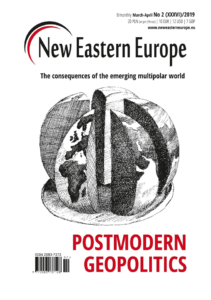 The ruling political party (Georgian Dream – author’s note) has voluntarily limited its own political powers through constitutional change in favour of democratic consolidation. Democratic consolidation would be incomplete without the support of constitutional liberalism. 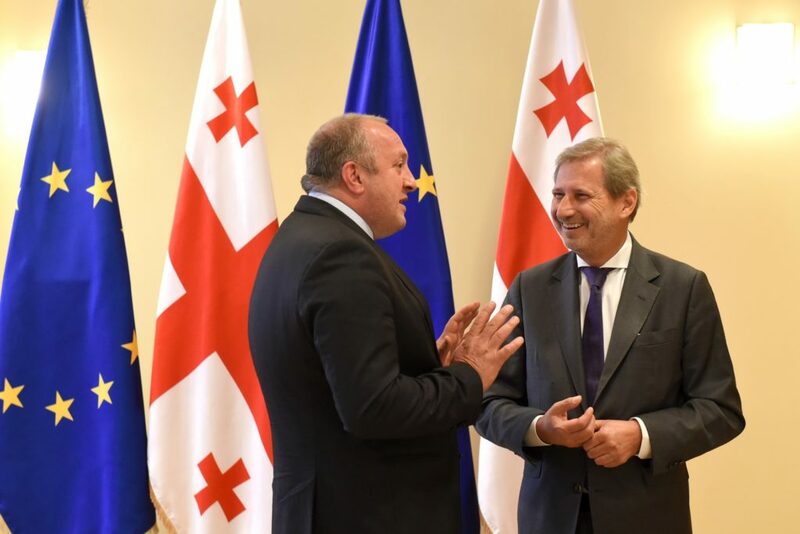 In October 2017, Russian Deputy Foreign Minister Grigory Karasin called Georgia to fulfil the conditions of the mutual Cargo Monitoring Agreement, “instead of demanding only that Russia follows the agreement”. Is Georgia still committed to the Agreement? Why does the Kremlin question your credibility? 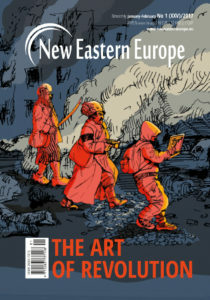 As you are aware, the Agreement on Cargo Monitoring (Russia and Georgia signed the agreement on in 2011 in Geneva – author’s note) was signed in order to guarantee undisturbed movement of goods between Russia and Georgia. Both sides agreed to involve a neutral company that would monitor the movement of goods between Georgia and Russia. A Swiss company fulfils the role of a neutral intermediary. I want to emphasise that Georgia remains committed to the agreement and fulfils its terms and responsibility. We completed our work on the draft text last spring and notified both the Swiss and the Russians. The Swiss do not have any questions. Yet, the Russians pressure and seek to deliberately delay the signing of the agreement. 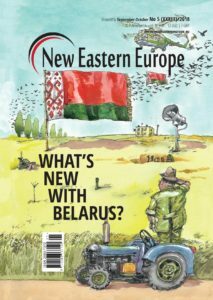 It is another example of Russia’s campaign to undermine Georgia’s international credibility and reputation. 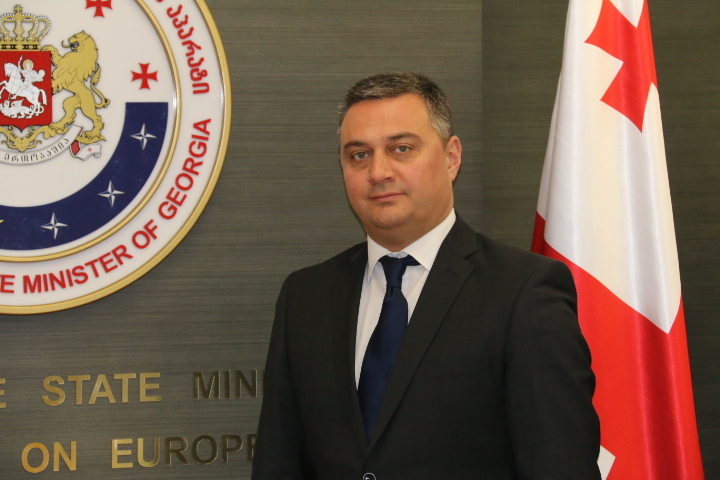 The last security meeting between Georgia and the EU took place on October 11th. One of the main issues discussed was the peaceful settlement of Russian-Georgian conflict. 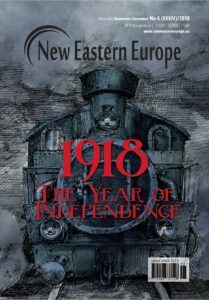 The Kremlin has expressed its disapproval of Georgia’s EU/NATO aspirations on several occasions. How will the EU help you to achieve a peaceful settlement of the conflict? The 2008 Russian aggression is not the dim and distant past. There is a reason why Russia continues its soft power gambits. That is why we seek to enhance cooperation with the EU in the security sector. Examples include a high-level Strategic Security Dialogue and the EU Monitoring Mission. The latter serves as an important deterrent against violations. 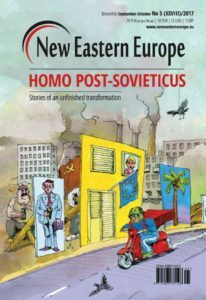 The EU has also been actively involved through its Special Representative (EUSRs) for South Caucasus (Toivo Klaar – author’s note). What are the most important security challenges that Georgia is facing today? 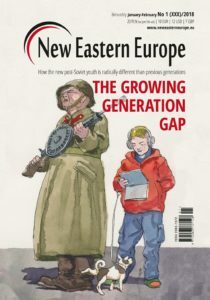 Since the 2008 Russian invasion of Georgia, and the 2014 Russian invasion of Ukraine and the annexation of Crimea, the European community has been witnessing a serious erosion of the security environment. Russia has unceremoniously violated international law by redrawing borders in Europe by force. 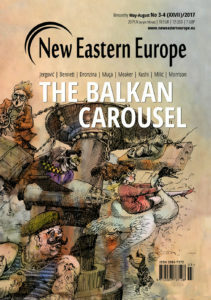 The Black Sea region is key to regional and Euro-Atlantic security, and maintenance of peace and conflict prevention is crucial not only to Georgia, but also to Europe. Therefore, we need to adopt a position of unity and strength against Russian threat, and to prevent frictions in the Euro-Atlantic alliance. 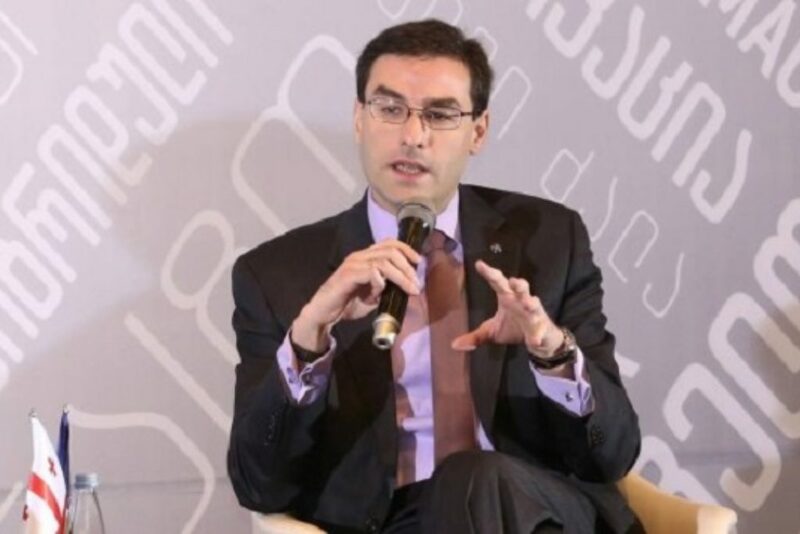 Victor Dolidze is the former State Minister of Georgia on European and Euro-Atlantic integration. Małgosia Krakowska is a Polish journalist focusing on international affairs and international security issues. 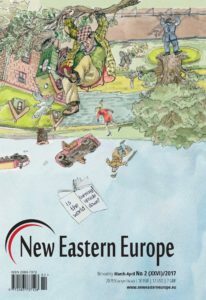 The publication of this text was co-financed with a grant by the Ministry of Foreign Affairs of the Republic of Poland within the framework of Public Diplomacy 2017 – II component Eastern dimension of Polish foreign policy 2017 and in partnership with Eastbook.eu. 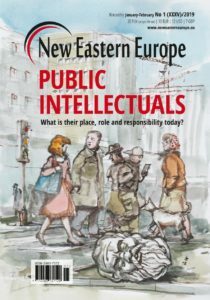 The publication expresses the views of the author only and should not be identified with the official position of the Polish Ministry of Foreign Affairs.